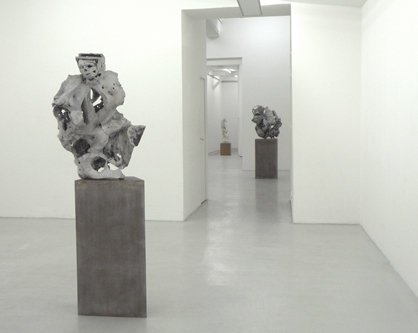 Jean-Luc and Takako Richard opened their gallery in Paris in 1989. They focus on contemporary painting, sculpture and new digital photography with an international program. They collaborate with artists in a long term relation, respecting their creative process. They established their reputation by introducing in Europe numerous artists living in the USA and Asia. In a 400 square meters exhibition space, they manage retrospective solo exhibitions and group shows with strong statements bringing artists together for the first time. In 2011 they opened their second gallery in Chelsea, New York City, representing the same artists. Artists represented: Christophe Avella-Bagur, Linda Besemer, Bram Bogart, William Bradley, Sven-Ole Frahm, Carl Fudge, Dionisio González, Hervé Heuzé, Stefan Hoenerloh, Norio Imai, Shirley Kaneda, Lauren Marsolier, Takesada Matsutani, Kiyoshi Nakagami, Joseph Nechvatal, Olaf Rauh, Peter Rogiers, Adam Ross, David Ryan, Yang Yi, Scott Anderson, Li Wei et Jeremy Thomas.